Get started kiteboarding the right way! First fly the trainer kite and then take lessons! Instructional DVDs are also extremely helpful to get you trained properly! Browse kiteboarding and kitesurfing kites by brand and learn about wind range and performance. 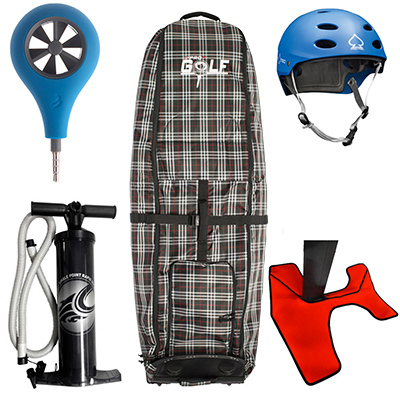 Kiteboarding accessories to complete your kit! It is highly recommend to have safety gear when you are kitesurfing. 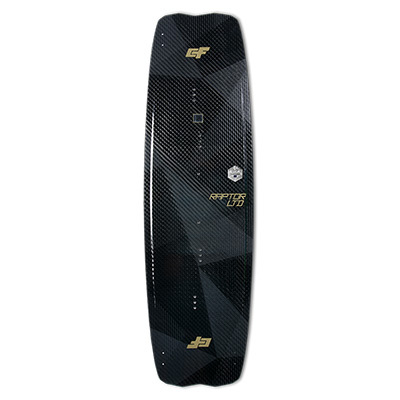 There are many styles of boards that can be used for kiteboarding. Here you can browse by style and also look at different pads, straps and fins. 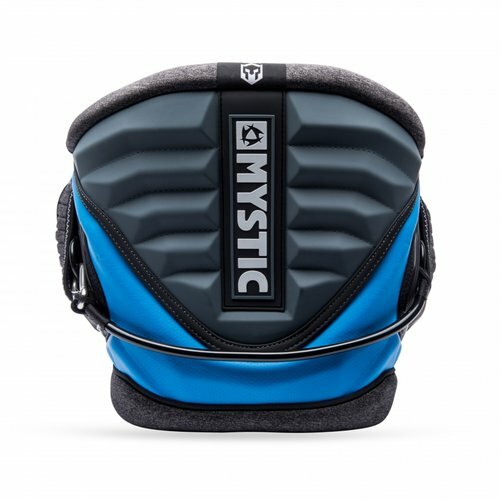 The kiteboarding waist and seat harness are the most common styles. The seat harness puts lets stress on the back, but the waist harness gives more mobility. 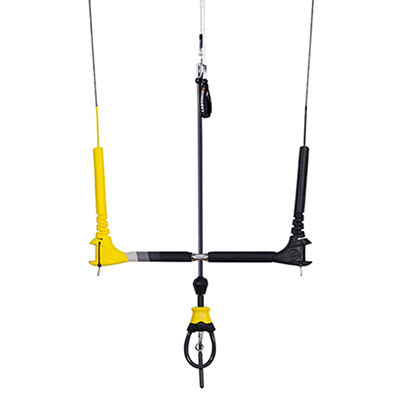 Browse four and five line kiteboarding control bars. Here you can find replacement parts including chicken loops, lines and swivels. Need a repair on your kite or board. 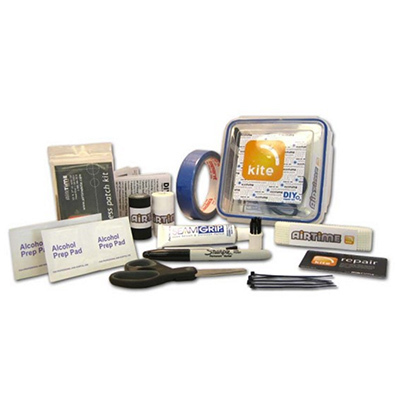 We have a huge selection of repair products from valves and bladders to pulleys for your kites.